The tenor saxophonist Joe Henderson was born on April 24, 1937 in a small city called Lima Ohio midway between Dayton and Toledo. He spent his childhood and adolescence in Lima in a family of 15 children where he was exposed to a variety of musical styles. By the time he was a high school student he was already arranging and writing music for the school band and other local outfits. It was in high school that a music teacher introduced him to the tenor saxophone. After graduation he enrolled first at the Kentucky State College to study music and then moved on to Wayne State University in Detroit. There he had as classmates several future jazz greats such as Yusef Lateef and Donald Byrd. From 1960-1962 he enlisted in the US army where he led several small jazz groups and won first place in a musical competition and was sent on a tour to entertain the troops all over Japan and Europe where he met a few of the expatriate musicians. After being discharged from the army he traveled to New York and sat in at Birdland with Dexter Gordon and other local musicians. 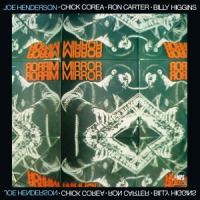 During one of these sessions he was introduced to the trumpeter Kenny Dorham who was so impressed by his musicianship that he arranged for Joe Henderson’s first recording session as a leader with Blue Note Records. This resulted in the record Page One (1963) which to this day remains one of his most critically acclaimed albums. This recording also spawned the standard Blue Bossa. During the following four years he led 4 other sessions for Blue Note and recorded as sideman on over to 2 dozen albums for the same label. Some of these records are today classics of not only the label but also of jazz music. Andrew Hill’s Point of Departure, Larry Young’s Unity, Horace Silver’s Song For My Father and Lee Morgan’s Sidewinder are just a few examples of those fruitful years. 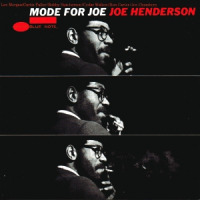 In addition to creating timeless music Joe Henderson’s style also evolved during this period to incorporate all genres of jazz from hard bop to avant garde from latin to soul-jazz. From 1967-1979 he recorded primarily for the Milestone label with occasional sessions as a leader for the Verve label and one, sorely underappreciated, record for the Enja label called Barcelona. Over this “middle period” of his career his style gradually evolved from the powerful acoustic style of post bop to fusion, electric music, avant garde and back to post-bop. Through all the changes, however, his virtuosity remained intact even when the some of the later records from this period were overall not as creative as his other works. During these years he also composed prolifically and co-led groups with Freddie Hubbard and Herbie Hancock. His forays outside of the realm of jazz led him to play with Blood Sweat and Tears and other rock and R and B groups. 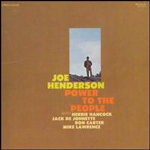 In the early seventies Joe Henderson became involved in teaching as well and moved to San Francisco. The latter period: the 80s and the tenor trio. 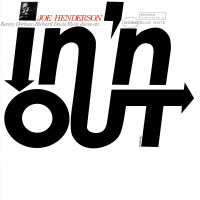 The highlight of the 80s in Joe Henderson’s career was the recording of the phenomenal live session at the Village Vanguard released on a two disc set as The State of the Tenor Live at the Village Vanguard. It is a live trio set with bass and drums similar to Sonny Rollins’ landmark recordings of over 2 decades before. Despite garnering critical accolades the record remains underappreciated and not as well known as it should be. The latter period: the 90s, Verve, awards and commercial success . 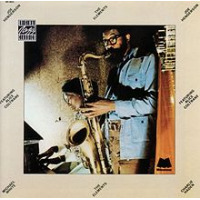 During the 90s Joe Henderson recorded 3 tribute sessions for Verve that were not only critically acclaimed but were also commercially highly successful. He won multiple Down Beat music awards in 1992, including the international critics and readers polls, was named jazz musician of the year and top tenor saxophonist. The first of the tribute albums Lush Life: The Music of Billy Strayhorn, named album of the year and went on to sell more than 450,000 worldwide in one year (1992); 100,000 copies of it in the United States. The success of those records launched his international career and he performed at many an international jazz festival and concert hall. 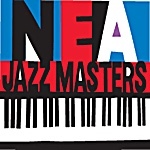 The second of these albums So Near So Far: Musings for Miles won him a Grammy for best jazz performance. The decade also saw him recording as a sideman with a number of up and coming jazz musicians such as Renee Rosnes, Rebecca Coupe Franks, Stephen Scott and Holy Cole just to name a few. In 1997 he recorded his last album Porgy and Bess and a year later he suffered a stroke that kept him from performing and in poor health. The world of jazz lost one of its great composers and most accomplished musicians on June 30th 2001 when Joe Henderson passed away from emphysema in San Francisco. All About Jazz musician pages are maintained by musicians, publicists and trusted members like you. Interested? Tell us why you would like to improve the Joe Henderson musician page.